Hamburg - Hamburger SV have appointed Mirko Slomka as their new coach on a two-and-a-half-year contract. Slomka, who replaces Bert van Marwijk in the Hamburg hot seat, arrives at a club in a similar predicament Hannover were in when he took over at the HDI-Arena in 2010. A 3-0 win over VfL Bochum on the final day of that season saw them avoid relegation and, in his first full season in charge, he led the Reds to fourth position in the Bundesliga and a place in the UEFA Europa League. He followed that with the most successful year in the club's history as Hannover reached the quarter-finals of the Europa League - where they were beaten by eventual winners Club Atletico de Madrid - and qualified for the competition once gain by securing seventh place in the Bundesliga on to a dramatic final day of the season. Hamburg fans will hope to avoid any such final day drama this term, but in Slomka, they have a coach who has already shown his acumen in delicate situations while building a side suitable for European football, something that the northern Germany club have been craving for since 2010, when they were knocked out of the Europa League semi-finals by Fulham FC. "For now, the most important thing is keeping this club in the Bundesliga," said Slomka at his presentation on Monday. "HSV should be one of the top five clubs in Germany. It's a wonderful challenge for me." The first challenge he faces is against Borussia Dortmund on Matchday 22, a sizeable task for any side, let alone one struggling at the wrong end of the table. 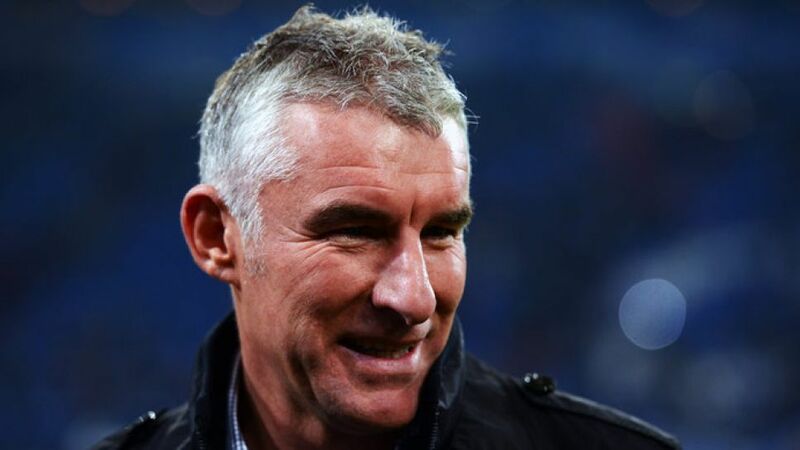 "We need to put in a good performance for our fans," said Slomka, who is regarded as the right man for the job by the club's sporting director Oliver Kreuzer. "The main thing for us was appointing a coach who has experience of this kind of situation," he said, showing his faith in Slomka by giving him a contract until 2016. Slomka intends to honour that contract and build a bright future for the success-starved club, although he vows to take things one step at a time. "If we manage to stay in the Bundesliga, then we'll be able to make plans for the coming season," he said. "But I'm confident we will stay up. I've got a contract until 2016." The 46-year-old is set to lead his first training session on Monday afternoon, but he wasted no time in letting his players know the way he wants to play. "I prefer two defensive midfielders," he said. "It's up to us to make the players understand their roles. We have a lot of fast, technical wide players, but not as many who can play centrally. I believe the players are good enough to be here."